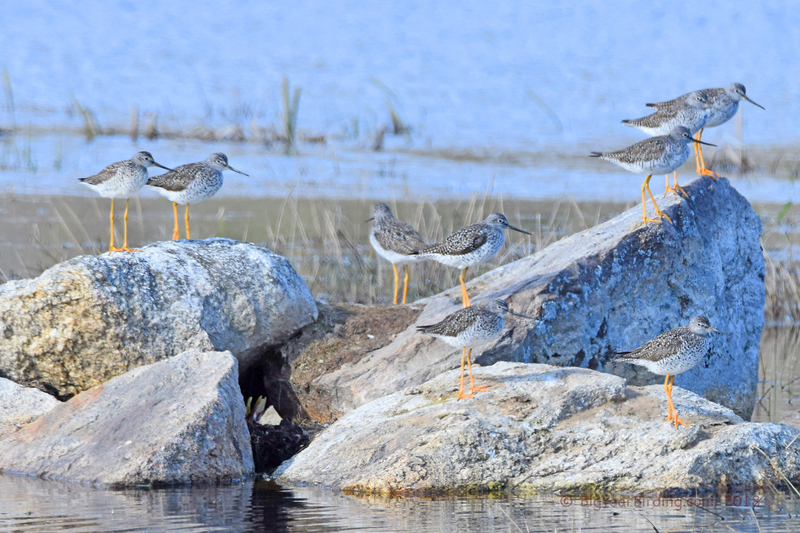 Each fall, we see lots of Greater (and Lesser) Yellowlegs migrating through. The first travel will appear in mid August and we’re still seeing them in October. But like a lot of shorebirds, they don’t seem to dawdle in during their north bound spring migration . . . we might see one or two most years but thats it. But this year there are dozens of Greater Yellowlegs everywhere. Every shoreline, vernal pool or large puddle seems to have a Greater Yellowlegs. It may be all the rain; or cold weather; or Donal Trump Tweets . . . but they are stopping and staying in Mid-coast Maine. Today I saw several weird combinations of birds: the Yellowlegs, at least a dozen Ring-necked Ducks, and a Red-throated Loon . . . all uncommon for April 30. Got our first Savannah Sparrow of the Spring. Not a bad haul for a back to work Monday.